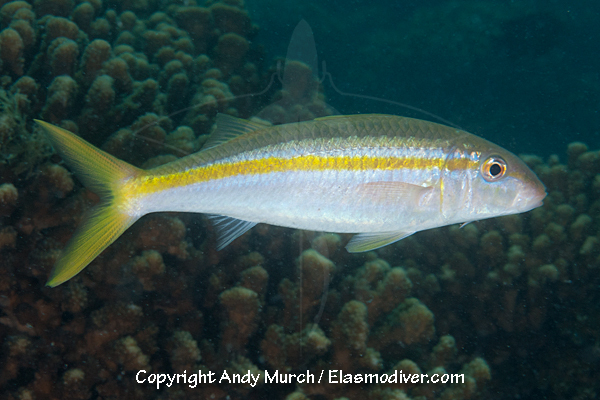 The Mexican Goatfish (Mulloidichthys dentatus) is a common inhabitant of the Sea of Cortez and elsewhere in the Eastern Pacific. It can usually be found on sandy bottoms using its long barbells to dislodge food items from the substrate. 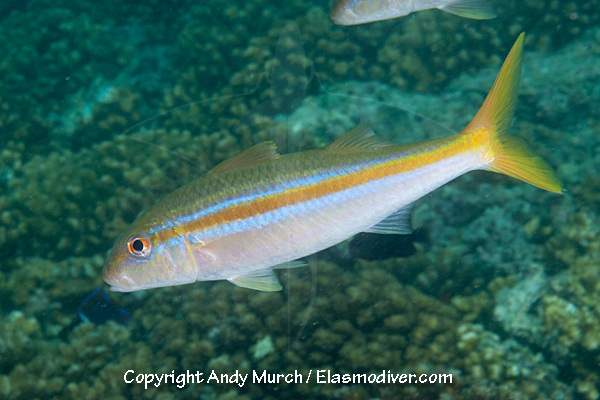 These Mexican Goatfish pictures are available for commercial licensing. For further information regarding usage please e-mail MarineLifePics. All of the images on MarineLifePics.com are copyright protected. 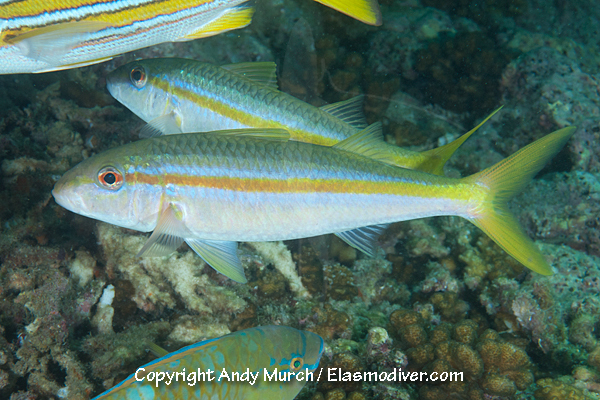 No unauthorized use of these Mexican Goatfish pictures is permitted. Please contact MarineLifePics for further information.